Due to big temperature differences, it is highly recommended to install air curtains to reduce the energy losses when the door is open. The higher the temperature differences between inside/outside, then higher are the energy losses when a door is unprotected. So the payback period of the air curtain is very short and then the energy/money saving is very high. 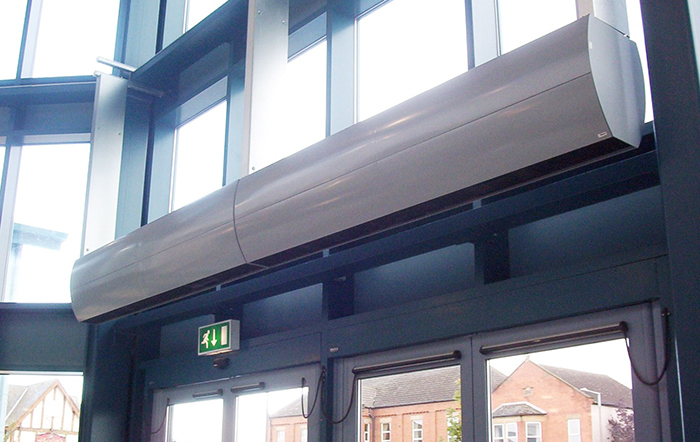 Air curtains Nedfon FM4509DY Length (0.9m), recommended height (4,5m). It is known that on open doorways with two adjacent areas in different conditions the air is interchanged between them because the laws of physics tend to equalise the temperature and pressure difference between both sides.